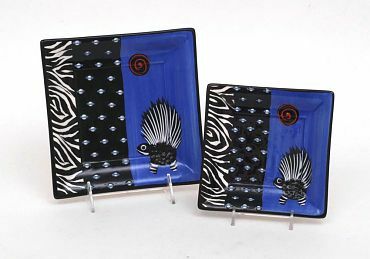 These colorful museum quality plates are hand painted by South African ceramic artists. Each unique piece is inspired by Africa's colors, animals, and patterns. All pieces are food and dishwasher safe.